1. 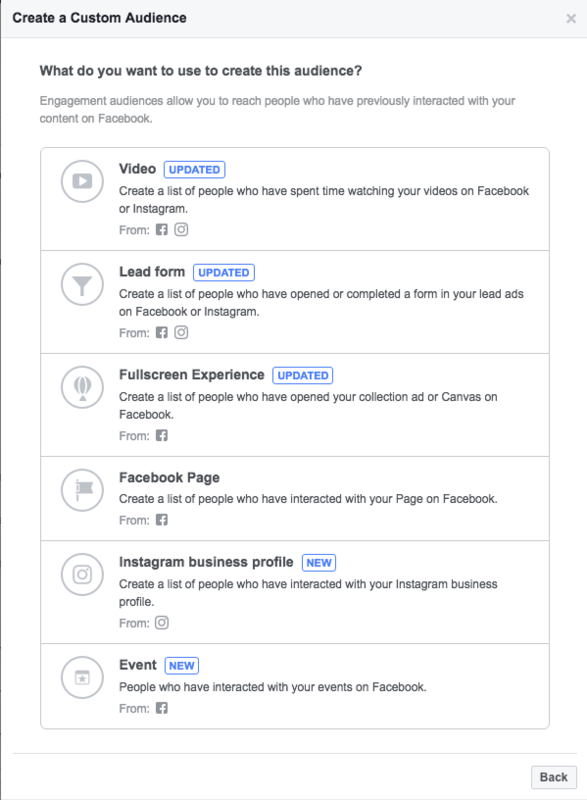 Login to your Facebook Business Manager. 2. Click on “Business Manager” on the top left corner of the page. 3. Click on “All Tools”, then “Audiences”. 4. In the “Asset Library”, click on “Create Audience”. In the dropdown, choose Custom Audience. 5. A popup window will open and will ask you which type of audience you’d like to create. You can choose from Customer File, Website Traffic, App Activity, Offline Activity and Engagement. 6. 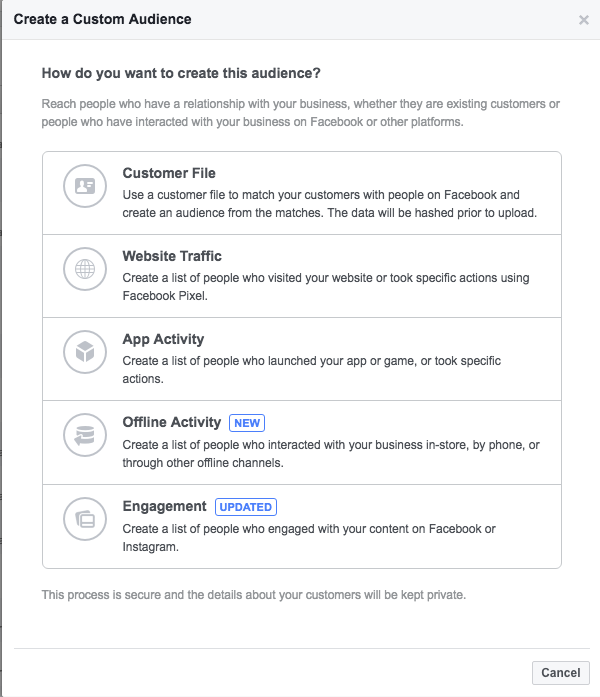 If you choose “Engagement”, you will see another popup window which will ask you which type of Engagement audience you to use to create this audience. 7. 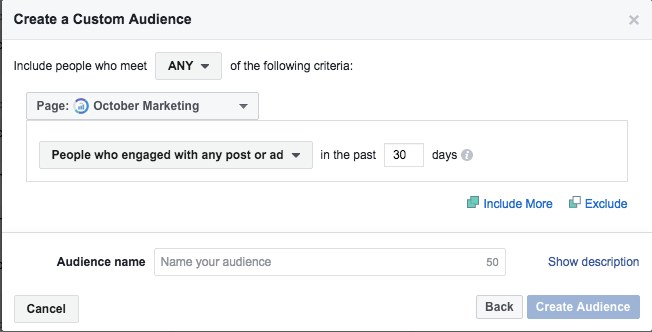 After you have chosen the type of Engagement audience, another popup will appear. 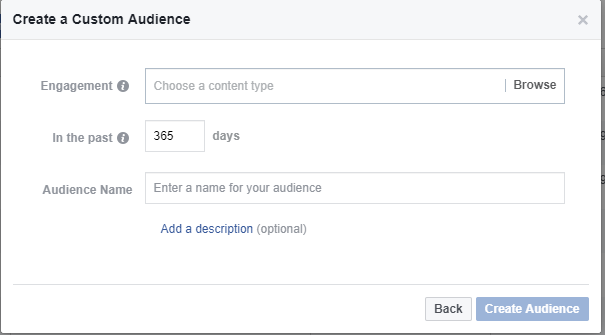 Place the desired number of days and put a name on your new audience list. Then click “Create Audience” and you are done.